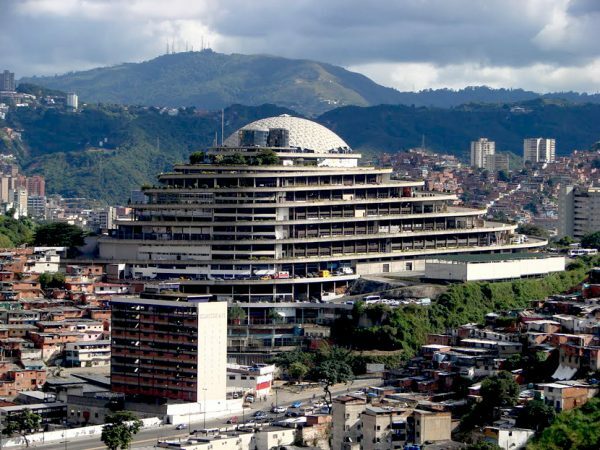 Standing out against surrounding shanties in Caracas, El Helicoide spirals skyward like a modern Tower of Babel. 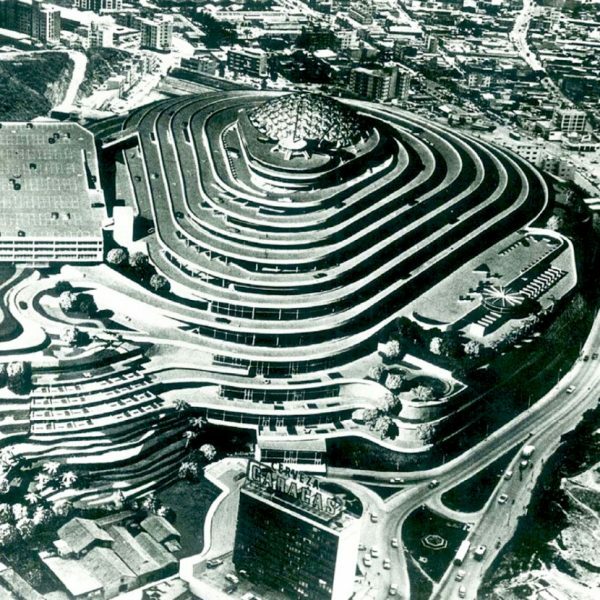 It was designed to be a drive-in shopping center with motorists cruising up and parking in front of stores — a kind of strip mall in the sky. It was in many ways a product of its times: a 1950s vision of cars and commerce. 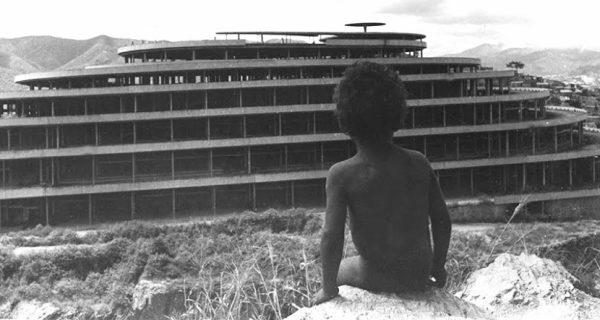 This ill-fated Utopian project would, however, never live up to its promised potential. The owner of the 300,000-square-foot hill on which the building was sited initially imagined a residential complex. But his architects had grander designs: they envisioned a vast commercial development. 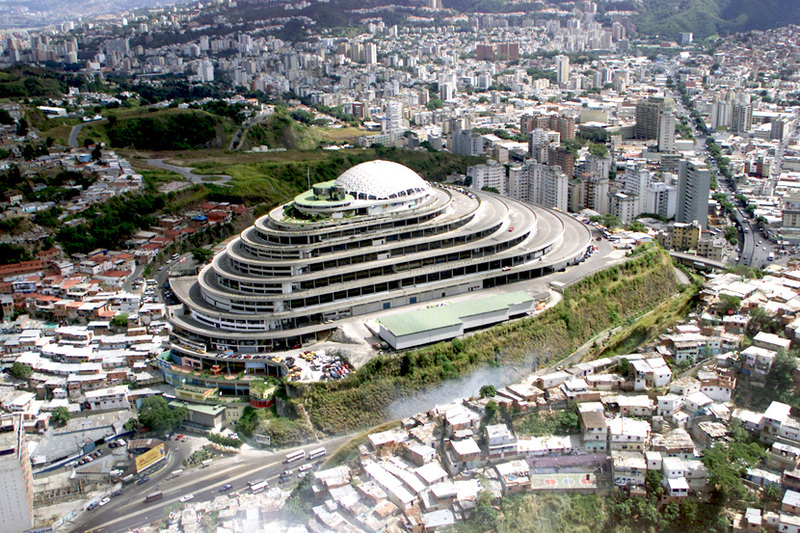 At each level, the rooftops of the stores below would serve as the multi-mile spiraling ramp with 2,000 parking spots for cars headed up the hillside. Two intertwining paths, bound together to form a helix, would allow vehicles to move up and down the spiraling structure. The vision of architects Peter Neuberger, Dirk Bornhorst, and Jorge Romero Gutierrez included restaurants, gyms, clubs, a movie theater and hotel accessed via diagonal elevators and escalators. A geodesic dome at the top, designed by none other than the famed Buckminster Fuller himself, would serve as a visitors’ center. Salvador Dali was on board with adding his own artwork to decorate the wrapping architectural form below. The iconic design went viral around the world and was exhibited at the MOMA. But big names and international interest could not ultimately sustain the structure. 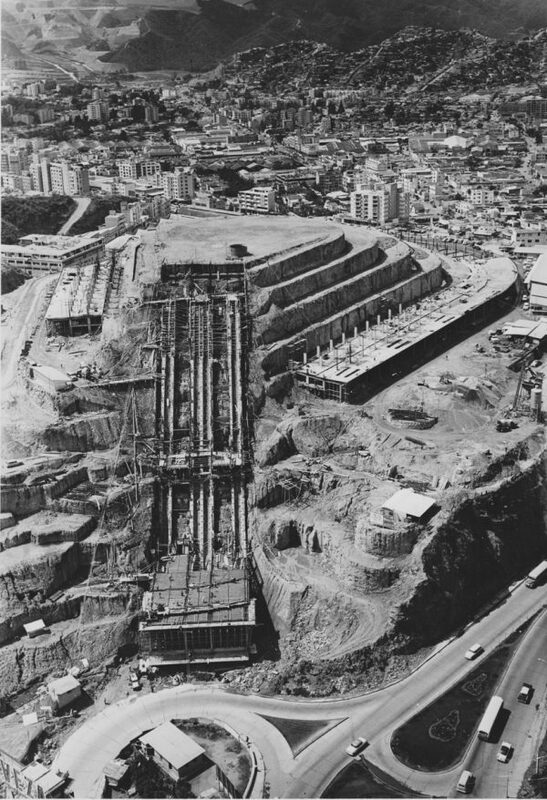 Economic and political upheaval in 1950s Venezuela slowed and eventually stopped construction on the project. Over the decades that followed, various plans were drawn up to revive the half-finished structure. At one point, Nelson Rockefeller attempted to buy the building but its ownership and debts proved too complex to navigate. Squatters came and went, at one time totaling over 10,000 illegal residents. A series of governments also attempted to revive the building more officially. 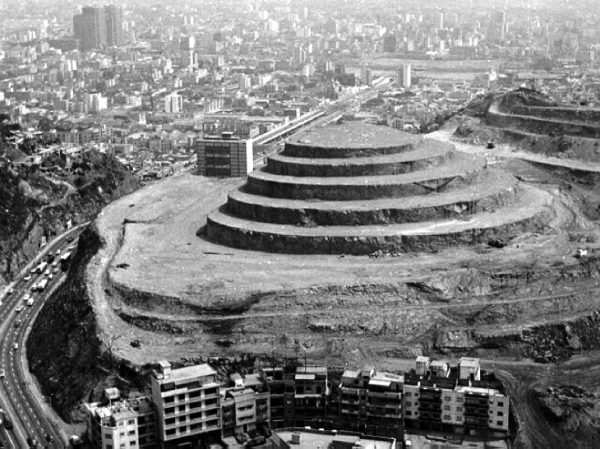 Critics like Olalquiaga see this as the ultimate perversion of the original aspirations behind the structure — instead of a tower to the sky or bridge to the future, “the spiral spun downward rather than upward.” It became a reflection of morbid realities rather than idealistic visions. 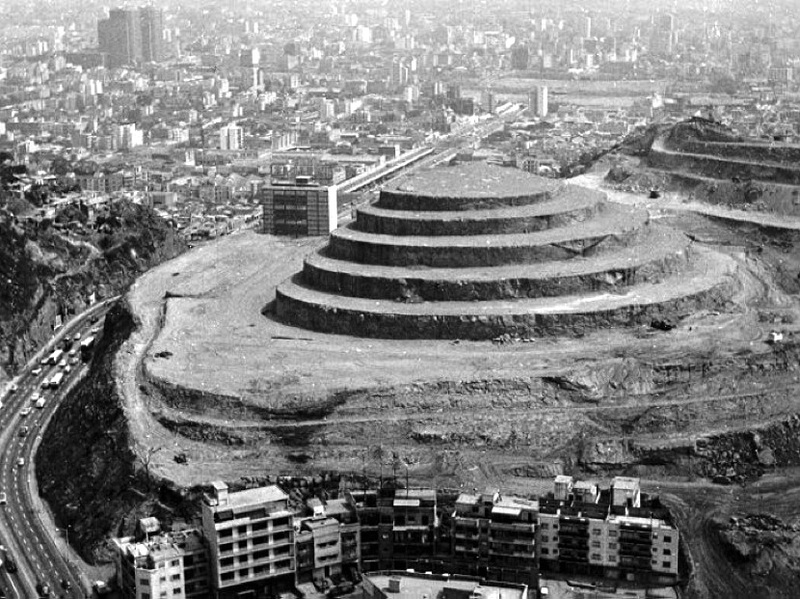 Olalquiaga founded a group called Proyecto Helicoide — its members include historians, architects and artists interested in both the history and future of this strange structure. They continue to gather materials related to its past and to advocate for potential new uses. Thanks to Kurt Kohlstedt and 99% Invisible for featuring our project!